Published on 22 January 2012. 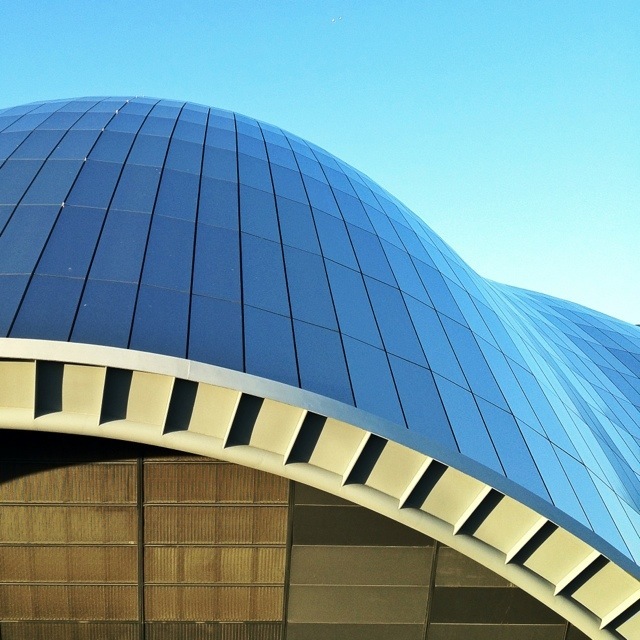 This is a roof detail of Norman Foster’s £70m Sage Gateshead, home to the very fine Northern Sinfonia (lead by the charismatic Austrian Thomas Zehetmair) much more besides. It is undoubtedly one of the country’s finest music venues. Hall One’s acoustics are sublime, and whilst I’m personally less keen on Hall Two, the ten-sided performance space is still architecturally impressive. Also, the Sir Michael Straker on the concourse is a great place to sit and work in relatively quiet café surroundings with free wifi. This 1,493rd post was filed under: Photo-a-day 2012, Architecture, Gateshead, Music, Sage, Tourist Attractions. Trackback received at 17:12 on 1st July 2012.